Deck-Solutions are experts at patio hardscapes for your home or backyard. There simply is nothing like relaxing in an outdoor space made just for you. Whether it is a patio, driveway, retaining wall, fire pit, benches, etc. Deck-Solutions can build it. If for any reason you have any questions or comments about patio hardscapes in St. Charles, feel free to give us a call at 630-513-9411 or fill out the form on our contact us page. 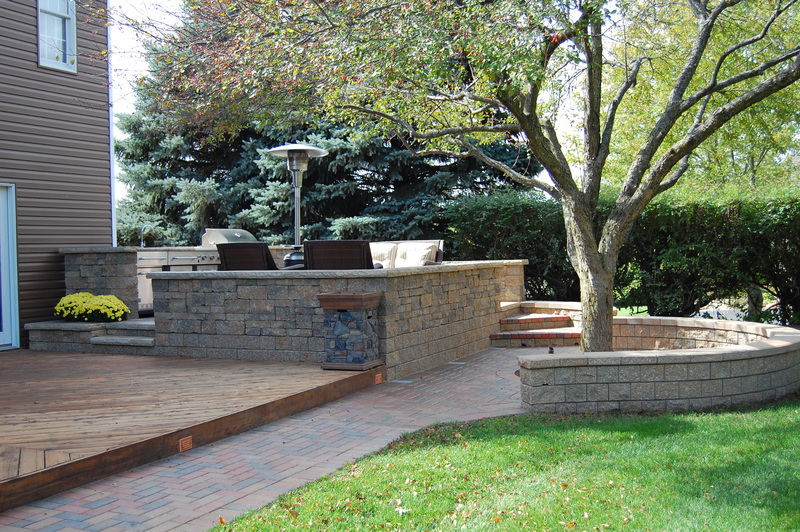 Our outdoor kitchen and fireplace setups are some of the best in the industry. Our experts have years of experience to ensure that your patio hardscape turns into the beautiful and classy design you were looking for. Deck-Solutions specializes in creating unique patio hardscapes in St. Charles using only the highest products and designs. With many variations to choose from including but not limited to fireplaces, brick, wood, cedar, composite decking, railings, retaining walls and much more you can build the exact patio of your dreams. 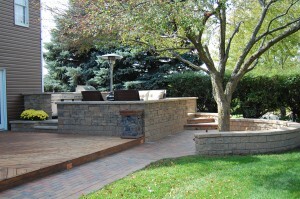 Let us help you make your dreams a reality and have us build your patio hardscapes in St. Charles. Founded in 1999, Deck-Solutions has many years of experience in building unique patio hardscapes in St. Charles and surrounding areas. Our expert craftsmen at Deck-Solutions will go over the step by step process and take care of everything you need for the project from start to finish. Deck Solutions is the number 1 rated company on Angies List in Chicago and has Maintained an A plus rating with the Better Business Bureau for over 15 years. If for any reason you have any questions or comments about patio hardscapes in St. Charles, feel free to give us a call at 630-513-9411 or fill out the form on our contact us page.